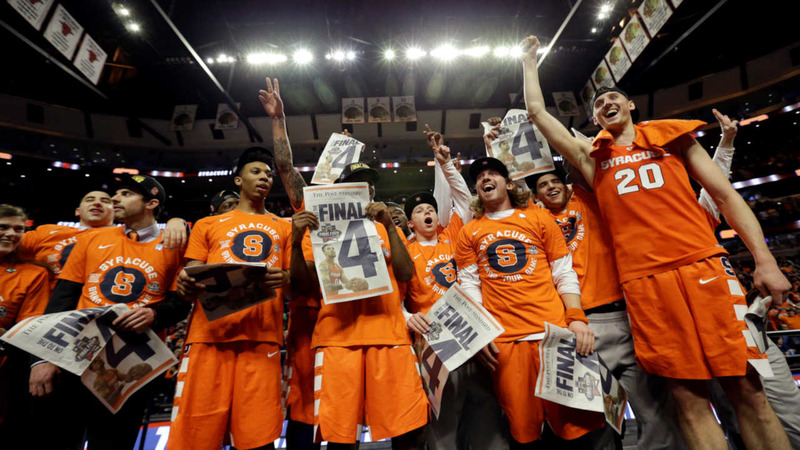 CHICAGO, Ill. -- Malachi Richardson scored 21 of his 23 points in the second half, and Syracuse extended its improbable run to the Final Four with a 68-62 victory over top-seeded Virginia on Sunday. The Orange were on the NCAA Tournament bubble after a rough closing stretch, but slipped in as a 10 seed before storming to its first Final Four since 2013 and No. 6 overall. It comes at the end of a challenging season for coach Jim Boeheim, who was suspended for nine games as the result of an NCAA investigation. Syracuse (23-13) becomes the first 10 seed to make it to the Final Four and just the fourth double-digit seed to accomplish the feat. It's the lowest seeded team to reach the national semifinals since VCU in 2011, according to STATS. Richardson's driving layup made it 59-58 Orange with 5:47 remaining for their first lead since early in the first half. After Perrantes missed a long 3, Richardson connected from deep and smiled as he ran up the court while making circles around his eyes with his hands.